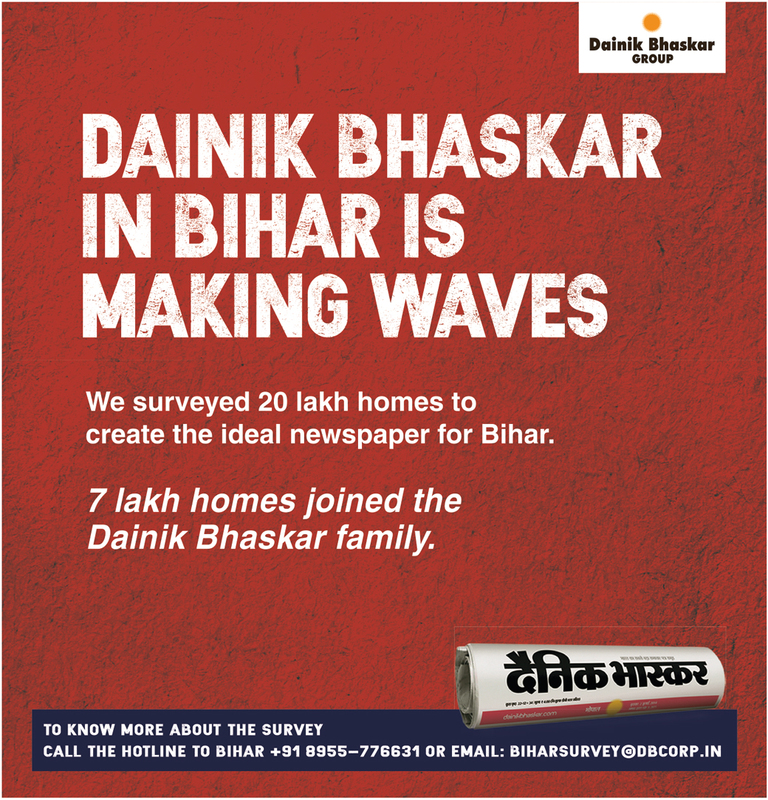 We did a door to door survey of 20 Lac households and establishments in Bihar to create an ideal newspaper for Bihar. We are pleased to inform you that 7 Lac households and establishments in Bihar have become part of the Dainik Bhaskar family. Now Dainik Bhaskar offers 100% coverage across all 38 districts of Bihar. ABC JJ'16 declared Dainik Bhaskar as India's largest circulated newspaper with 38,12,599 copies. A high octane campaign conveying the brand's leadership was launched to share our success. The campaign registered more than 80% visibility among marketers and trade. 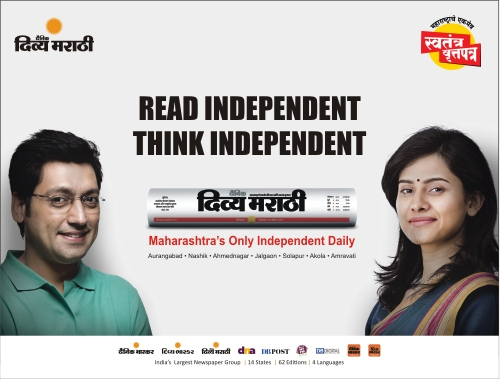 Divya Marathi is Maharashtra's first credible & unbiased newspaper. With no affiliation to religious groups, communities, political parties or clients; the newspaper is 'MAHARASHTRA'S ONLY INDEPENDENT DAILY'. The group's editorial philosophy; 'READER AT THE HEART OF EVERYTHING WE DO' has constantly been exemplified through the unsurpassed journalistic values of Divya Marathi. Divya Marathi organised the first ever Marathi Literature festival at Kusumagraj Smarak in Nashik in November, 2016. A three day festival of power packed sessions; it was one of the most prestigious and high impact initiatives undertaken in the 'Literature' & 'Journalism' space in Maharashtra. 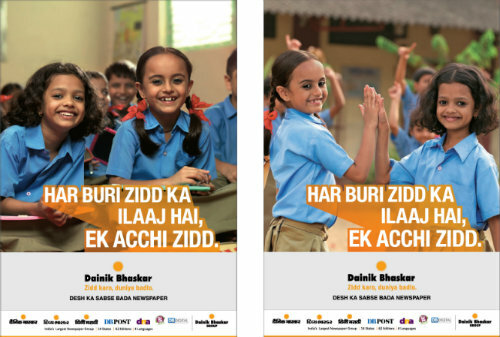 Dainik Bhaskar's 'Zidd Karo Duniya Badlo' corporate campaign celebrates how positive persistence can change the world around you. The campaign was launched on 29th April, 2016 and celebrates the spirit of stubbornness and persistence that can lead to a larger good for all. 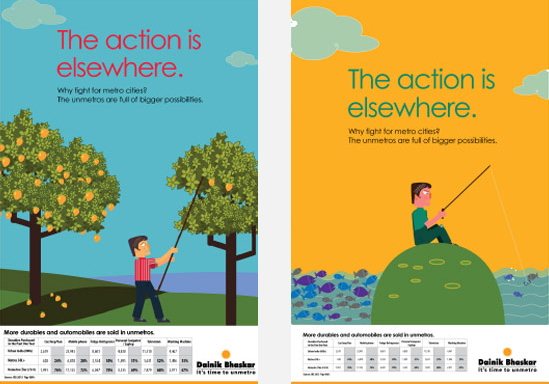 Brand Dainik Bhaskar embodies 'zidd' (stubbornness) in its growth story, from being a single newspaper which was launched in Bhopal, to being the largest circulated newspaper today with a presence across 14 states, is steeped in 'zidd'. Zidd is the clarion call of the brand; the resilience, the determination, the strength to change and be at the helm of change. Dainik Bhaskar has been the most preferred news vehicle for its readers in Rajasthan since the last 19 years. Nearly two decades of sustained leadership is linked to our deep understanding of the readers' needs, desires and expectations. The Happy Rajasthan initiative is our way of celebrating our wonderful association with the state with all our partners. Known as the 'Land of the Kings', the state retains the glory and richness of historical significance with its marvellous monuments, colourful traditions and customs, striking landscape and wondrous locales at every corner. All of these put together, Rajasthan is the perfect destination to create lasting memories. The contest asked participants to upload their 'Happy Rajasthan' pictures and videos, on the microsite. The most voted entry won an iPhone 6 and other super exciting prizes. The 'Live No Negative' movement drives the people to have a positive outlook to life. At DBCL one of the key initiatives undertaken to build this philosophy forward is 'No Negative Monday'. The Group follows the 'No Negative News on Monday' policy, across all its newspapers and carries only positive news to ensure that readers start their week with positivity. If there is negative news which is significant for readers, it is carried in a separate pull-out or page with a disclaimer. This helps generate hope, inspiration, delight and a sense of pride besides being a great start to the week. Being a first-of-its-kind initiative, this initiative received wide acclaim in the industry, and very positive reception from readers. 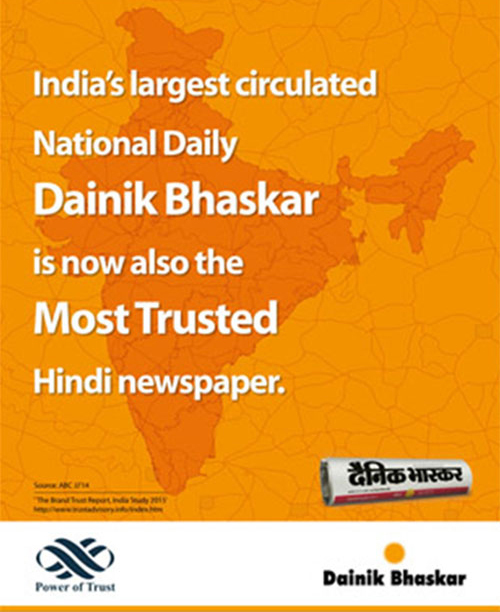 'The Brand Trust Campaign', celebrated the nation's trust in 'Dainik Bhaskar'. 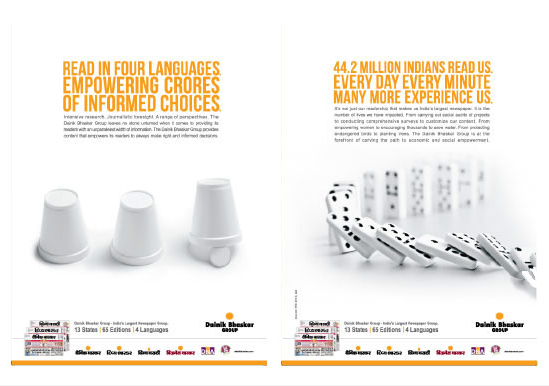 The brand is now recognised as India's most trusted language (Hindi) newspaper by the Brand Trust Report India Study, 2015. The survey highlights the brand's commitment of bringing unbiased, hyper local news to the readers. The survey was conducted across 16 cities and across 20,000 unique brands. Connect with Unmetro on www.facebook.com/unmetroIndia. A high impact engagement drive conducted across markets that the group operates in. 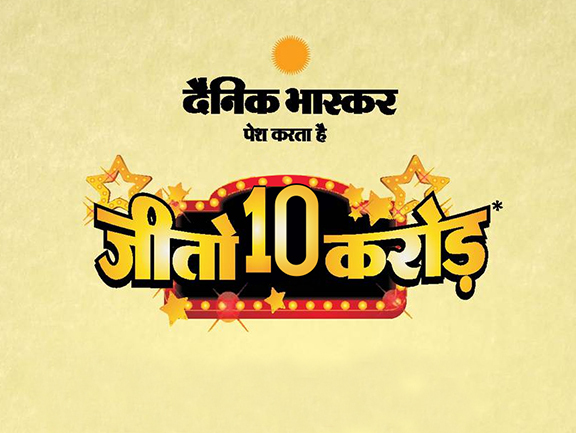 The proposition 'Jeeto 10 crore' drew record participation of more than 1 million readers. The Dainik Bhaskar Group's foray in Bihar is an embodiment of our relentless spirit to provide the best-in-class product to our readers. Bihar was a 3 player 'Hindi' newspaper market with only 44% penetration highlighting the market potential for a right product and of market expansion opportunities. With the launch of Dainik Bhaskar's Patna edition, the Group now covers 14 Indian states. Unique, deep-rooted research and survey of 3,37,578 households marked the Bihar launch as one of our most iconic introductions into a new Hindi market. We entered Bihar with our signature twin-program survey and an aim to outstrip the competing newspaper brands by 10-15% market share. 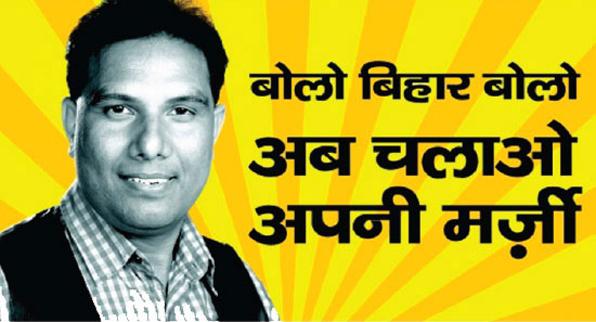 'Speak Up Bihar' campaign encouraged Bihar's readers to express their views and redefine the way they received the news every day. With an overwhelming 1,70,000 copies distributed, Dainik Bhaskar claimed the position of No. 1 from Day 1. We conceptualized an umbrella property called 'The Great Gujarat Jalsa' owing to Gujarat being the land of celebrations. We believed 'The Great Gujarat Jalsa' to be an effective platform for Divya Bhaskar to engage with media planners, buyers and marketers. Two highly engaging contests were rolled out under this umbrella - The Great Gujarat Selfie and The Great Gujarat Crossword. While the former was the first of its kind initiative in the B2B space, it also sparked off a cascading effect on the campaign awareness with selfies going viral and demands for likes hitting the roof. 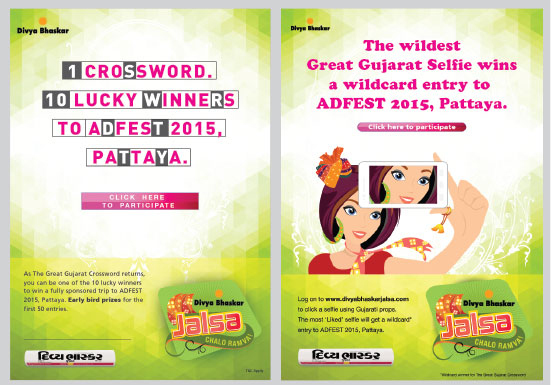 On the other hand, The Great Gujarat Crossword also made huge inroads with its promise of gratifying 10 lucky winners. The Great Gujarat contest was not only engaging but it also disseminated information about the Gujarat market and the brand Divya Bhaskar. 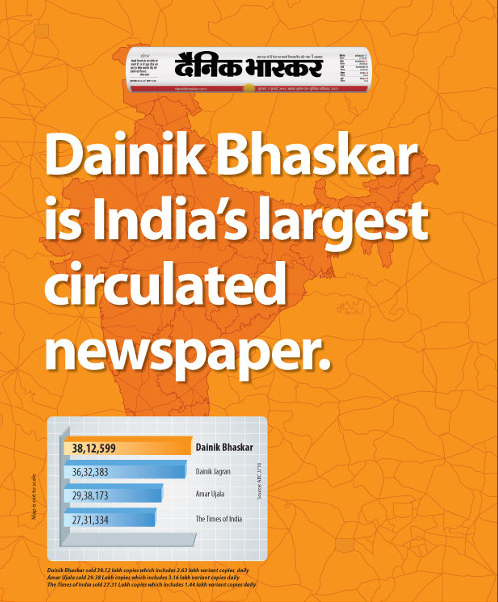 With an unparalleled readership in the Tier II & Tier III cities of India, publications in multiple languages and its impact across the country; the Dainik Bhaskar Group has a host of facts to be proud of. We designed an advertising campaign that highlighted our strengths and the uniqueness of our brand. Readership strength, language diversity and coverage were highlighted through the data. Junior Editor is a unique initiative from the Dainik Bhaskar Group that uses innovation, creativity and engagement to build a strong connection with the young population of India. The campaign encourages tomorrow's generation to come forth and express its views. It is implemented under the Bhaskar Champs Club. 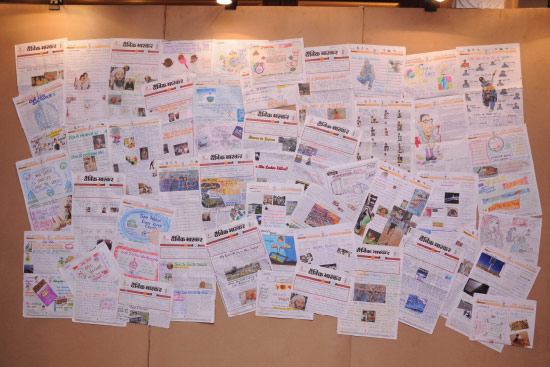 unior Editor has been a ground-breaking activity that holds the Guinness World Record for largest writing competition, the Limca World Record for largest countrywide newspaper-making competition for children and a record in the India Book of Records for largest number of manually-prepared newspapers by Kids.